I have a very interesting video to show you and then I want to discuss with you on the content of this video. 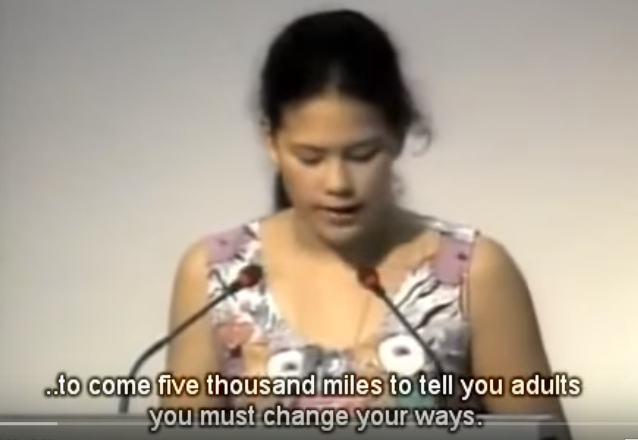 This video is about a girl telling us what she thought about problems in our current world – pollution, poverty and others. She was so brave to speak in front of all these people she doesn’t know. We teach our children to be kind, gentle and responsible. We also teach them “sharing”. But as we became an adult we forgot all we have learned and we don’t practice what we preach. It might be the real world is different. This is a cruel world. We all understand the concept of being a good person and a good citizen. As we grow up, we start to see a different world – a world which is completely different from what we knew when we were kids. For many of us, if we want to survive we need to work very hard – day and night. We struggle to make money, to put food on the table and a shelter for our family. How would we be able to care about other people and the environment? Our survival is much more important than some extinct animals. Our well-being and prosperity are more important than the poverty of others. Who is more important than me? It is absolutely normal to think and act this way. Recently, there was a report saying – The top 1% of the rich people own more than 50% of all the wealth in this world. To hell with sharing! We all know that “the rich gets richer and the poor get poorer.” Is it true that – money is the root of all evil? I believe it is true. If there is no money, there would be no poverty. When you have money, would you share? In this video, the girl mentioned that – a poor kid said he would share his money with others if he becomes rich. This sounds very familiar, I might have heard it from somewhere. If you have money, would you share? Would you be able to tell me that you would? Are you sure? This kid might forget what he had promised when he grows up and when he becomes rich. As we grow up, we see more and more of the wickedness of human race. A lot of us would see that acquiring this “wickedness” is part of growing up. Our hearts harden as we become an adult. We give up our souls to Satan when we set foot to pursue money. To be rich is an obsession and goal of most people. They are the normal people. When you are rich, you get the respect of others. When you are rich, you no longer be a slave to someone else. You are the master of your own fate. So why would we want to share it with others? We dug up all the minerals underground. We polluted the air, rivers, lakes and ocean. We destroyed the living environment of animals. We enslaved other people to work for us and we paid them pennies. We destroyed relationships and families. It is right for our next generation to complain about us, we deserve the blame. We destroyed the earth and we destroyed their future. If this carry-on, they might not even have clean water and clean air. Do you have any suggestion? Seem like there is no solution. Despite the fact that we are going down this irreversible destructive path. I think there is hope. All we have to do is stop doing the wrong things that we are doing now. We need to have a wise ruler in this world, who are able to save us from the blink of destruction. When the human race can come and work together we can solve any problem. This is what I think we need to do. The first step, we need to destroy money. Without money, there will be no riches and there will be no poverty. I have written an early article about this – What is paradise? When there is no money, then we will be able to share what we have. There is more than enough food in this world for all of us. There are more than enough resources in this world as long as someone is not owning too much. It sounds like Communism – communism does work when there is no money. We need to know how we should live then we would be able to correct the mistakes that we made. We need to educate our children the right way. Teach them love, kindness and compassion. The most important thing, we need is to set a good example for them. Before you go. I want to ask you a question. What do you think what we should do to make this world a better place? What do you think what we should do to make this world a paradise? I think you need to take sometime to think over it. You can always come back and tell me your ideas. Spread the idea – when we all have the same thinking then we will be able to bring goodness to our world. 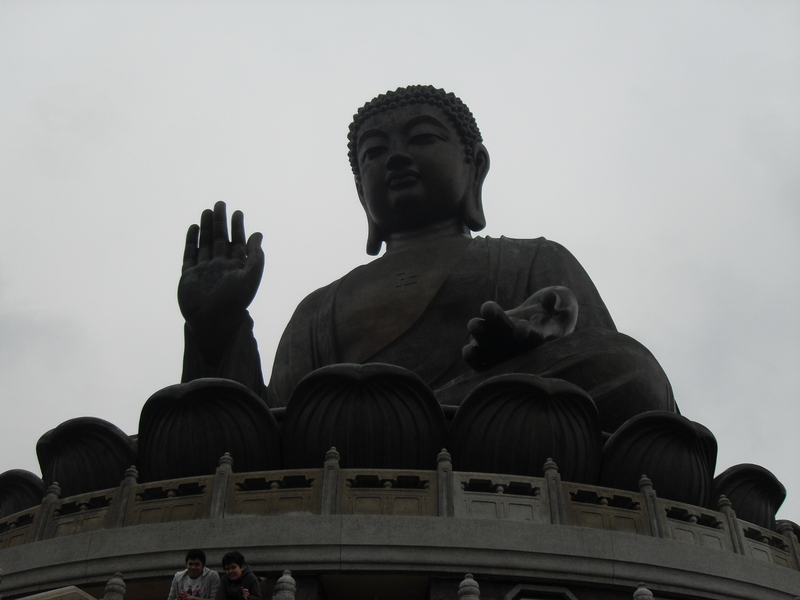 The Buddha, who wants peace for the world. May our world becomes the paradise we wanted. Do you want to be a Truth Seeker?